JOIN DORY AND FRIENDS IN A GAME OF HIDE AND SEEK! 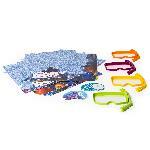 You and your friends each get a dive mask to uncover hidden images on the game board. 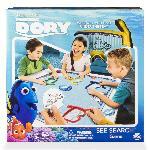 Join Dory and friends in a game of hide and seek with Finding Dory See Search from Spin Master Games. 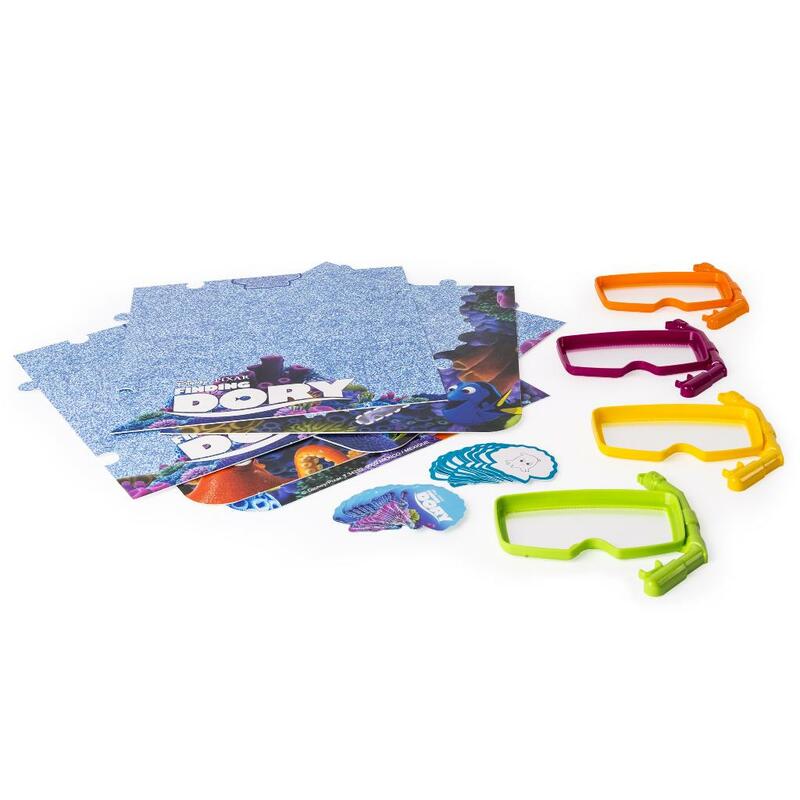 You and your friends each get a dive mask to uncover hidden images on the game board. When a character card is flipped over, race to find that find that image first. Find 3 hidden characters to win. 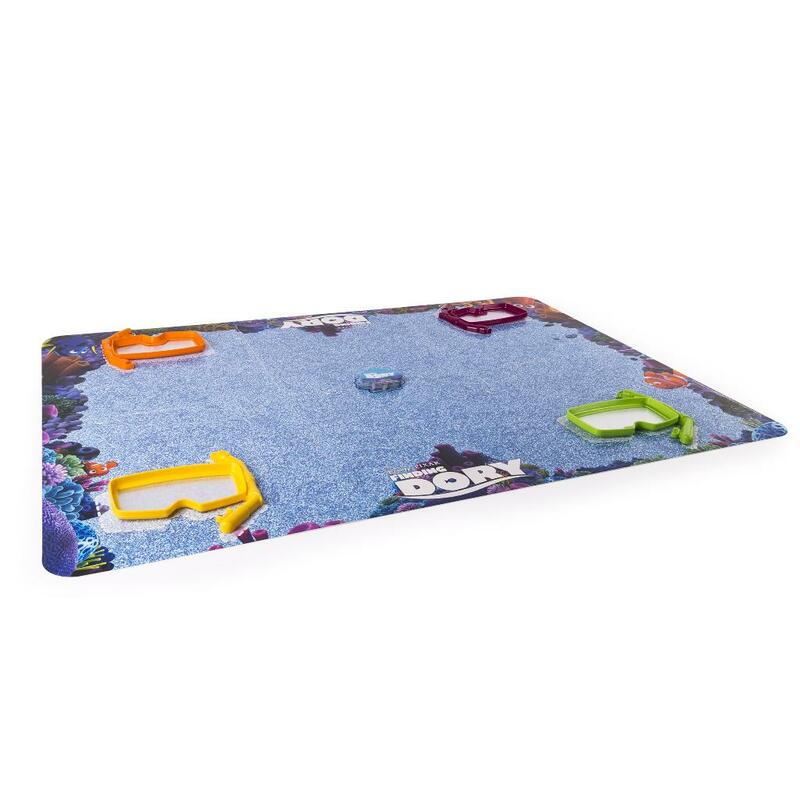 Just keep swimming with Finding Dory Memory Match! 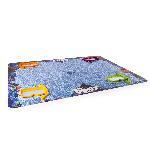 Each player gets a magically mask to reveal pictures on the game board. When a character card is turned over, everyone races to find that hidden image. Find 3 hidden pictures and you win! 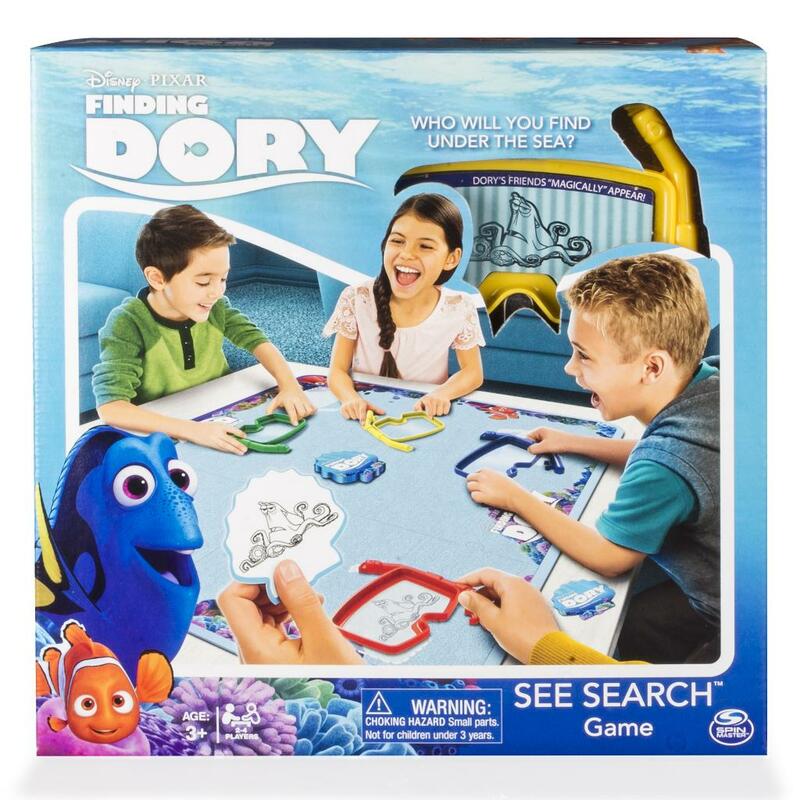 Finding Dory See Search is made for 2-4 players ages 3+. No batteries required.